An ideal choice for athletes, gym newbies, or if you are just looking to increase your daily protein intake. Total Protein is easily mixed and consumed with a great choice of flavours and delivers exceptional quality and value for money. 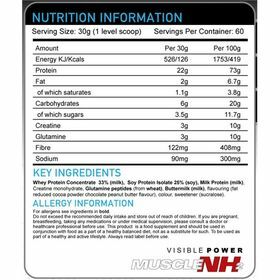 Total Protein is an instantised protein that will mix easily, and is a versatile product to be used anytime. 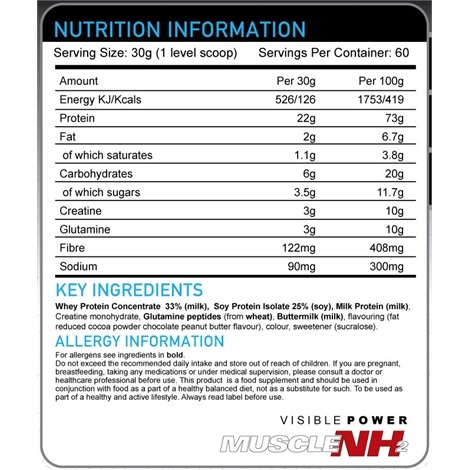 Muscle NH2 total protein will fit right into the daily use of the majority of fitness regimes.